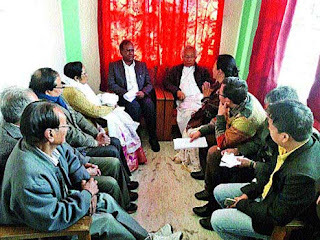 The Christian community of the hills and the Terai today submitted a memorandum to state tribal affairs minister James Kajur, demanding a separate development board for the Christians since they constitute the largest minority group in the region. Christians of all denominations had recently formed the All Christian Minority Association to spearhead the campaign for the development board. "We have come to know that the government is on the verge of forming a development board for the minority communities in the hills. We demand that a separate board be formed for the Christians since we are the largest minority group in the region," said Jyotima Subba, the co-ordinator of the association. The association claims there are about three lakh Christians in the region. 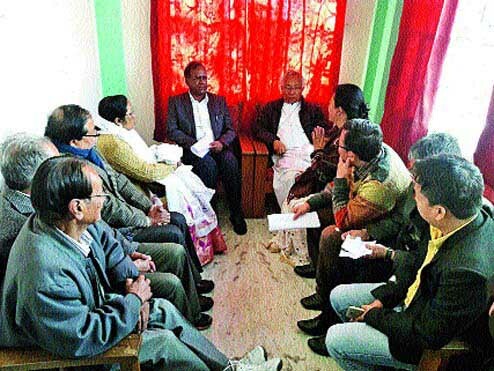 Chief minister Mamata Banerjee during her last visit to Kalimpong in September last year had said her government was considering forming a development board for the hill minorities and had in particular taken the names of Bengalis, Muslims and Biharis. It is, however, not clear if the state is mulling forming separate boards for different minority communities or a single body for all of them. The state government has formed 12 boards for different ethnic and scheduled caste communities in the hills, but none on the basis of religion. Asked why the Christians were demanding a separate board, Subba said a large number of Christians in the hills and the plains were a deprived lot and the board was needed to uplift their condition. "Many Christians have been deprived in many fields. If the government is forming boards to uplift the condition of other communities, it should also do the same for the Christians. We can do a lot to uplift the socio-economic conditions of the deprived Christians through the board," she said.